We challenge you to an Hour of Code! It’s time for an Hour of Code! What is an Hour of Code? It’s a one-hour introduction to computer science where anyone can learn the basics. Check out the Hour of Code website at http://hourofcode.org/. As we have done in past years, there is a prize category for Idaho Digital Learning staff. When you complete your hour, print the certificate of completion and give a copy to me or send me a digital copy. Your name will be added to the internal drawing for a $50 Amazon card. If family is interested in participating they can enter the drawing here. Every Idaho student, teacher, parent, and others who completes an “Hour of Code” through Code.org may enter into a drawing to win a $50 Amazon gift card or an iPad mini! There will be four (4) gift card winners chosen across four categories; PreK-5th grade, 6th-8th grade, 9th-12th grade and Adult category (Administrator, Teacher or Parent) and one (1) grand prize winner of an iPad Mini chosen from all categories. Enter to win HERE. Idaho Digital Learning was invited to the Professional Learning Partner event with Code.org in Washington, DC because of the impact the organization is beginning to have on the implementation of computer science. 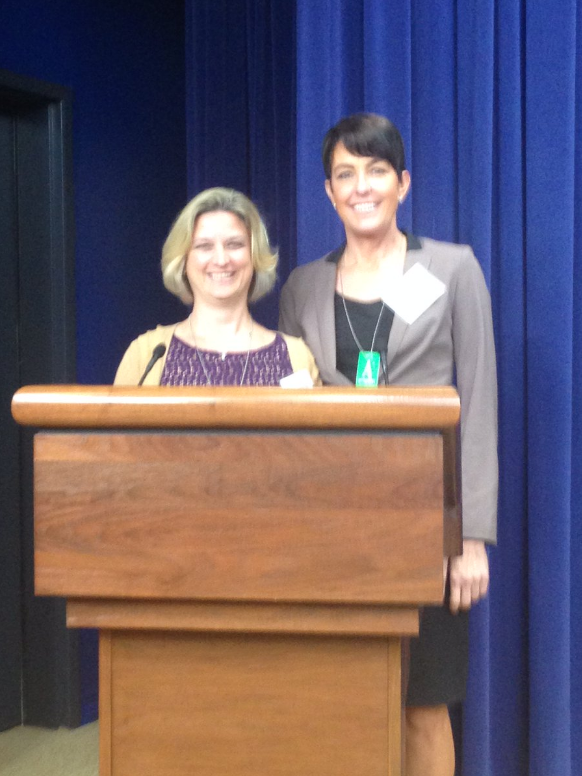 Dr. Sherawn Reberry was invited to sit on a panel during the White House visit to discuss the regional implementation of computer science. Dr. Reberry takes a moment to answer a few questions about the event. We were able to listen to industry, government and education officials discuss computer science and the acceptance of computer science as foundational concepts for all content areas. We had the privilege of also meeting with Congressman Mike Simpson’s Education Liaison Solara Linehan. We were able to share the collaborative work being completed in Idaho around computer science. 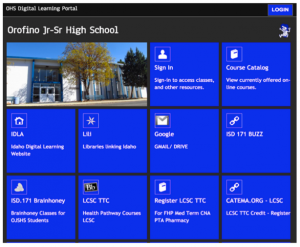 Why was Idaho Digital Learning selected to attend? Idaho Digital Learning is the Code.org Professional Learning Partner for the State of Idaho. We have been involved in collaboration and partnership with Code.org for the past three years. Idaho was the first state wide partnership for implementation. What was the most interesting thing you learned about other Code.org programs? Rural areas are prevalent throughout the United States. Other Professional Partners are working to design programs such as ours and there are opportunities to collaborate and share resources. 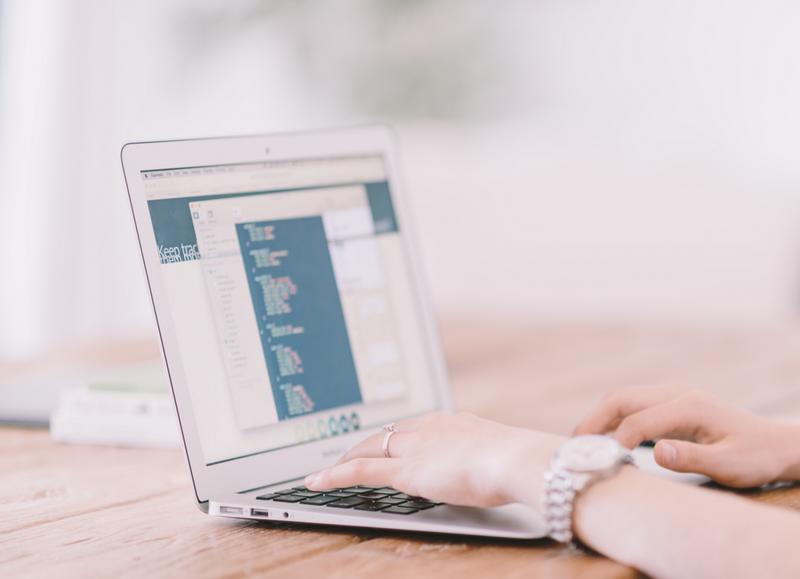 We were excited to hear that Idaho was the first state to implement a hybrid model of delivering portions of this professional development for teachers and online courses for students. We are excited that we are working in partnership with Code.org to increase these offerings. How do you feel this will benefit computer science in our state and nationally? Code.org is sharing with Idaho and the nation the importance of students having a computer science background. Just as students understand the importance of chlorophyll to plant life, it’s just as important for students to understand how computers work. These different efforts are assisting in the understanding of the importance of computer science as a foundational course. Computer Science concepts can be integrated directly with current curriculum. Are there any fun facts you want to share? Computer Science is officially accepted as part of STEM. Is there anything else you want to tell the Idaho education community about this experience? It takes all of us to move forward. Computer Science fundamentals is important for a 21st Century Education. Partnerships are important — work together in collaboration so that our students are the beneficiaries of the outcomes, ultimately creating a pipeline so that Idaho’s pipeline is aligned from K – 12 education to post-secondary education to industry. 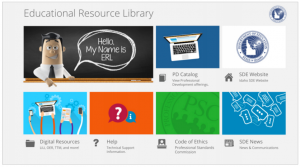 In the ever-changing landscape of education, countless tools are available to students to help personalize their learning and to provide educators with options to better assist them in their areas of interest. The integration of technology and online content have helped students in not only meeting their academic goals but also by providing opportunities that may not be available within their current school. These tools have increased student options and empowered them with ownership of their educational experience, thereby becoming a vital component to their academic success. This success is sometime difficult for students to achieve by themselves. Many students find the transition into online learning challenging and can benefit from an adult mentor available. 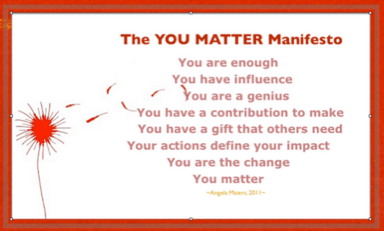 The mentor can help them with questions and to provide support and motivation as needed. The adults supporting these students play a key role in how students embrace online options and can be a pivotal component to their academic success. Having a local advocate is critical in assist students with course enrollment options, as well as providing the ongoing monitoring and motivation. 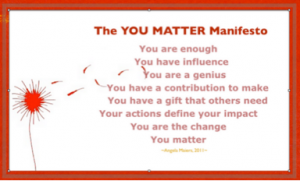 These staff members, counselors, and/or Idaho Digital Learning Site Coordinators, routinely go above and beyond to ensure students have a sense of self-worth in their coursework. They aid students with hurdles they may encounter and need help overcoming. Having an advocate that students can rely on for motivation, help and accountability during the school day provides students with a positive influence who not only ensures they are held to academic standards but, equally as important, that students are intrinsically motivated to excel. Idaho Digital Learning Site Coordinators, and others assisting students, often employ creative techniques for connecting with their students. 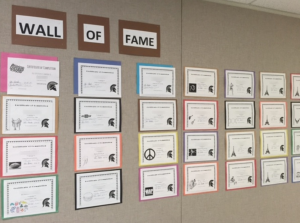 One such motivating technique, used by the ATLAS Site Coordinator Colin Gordon, provides students with recognition of class accomplishments through a “Wall of Fame”. 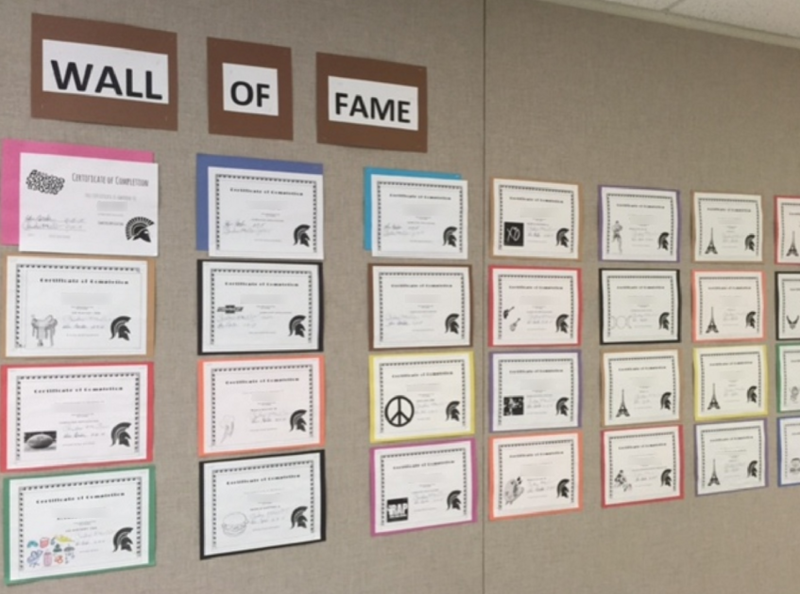 This classroom display contains personalized certificates when students complete a class. This public recognition provides not only acknowledgement of a job well done but also motivates other classmates to have their names included on the wall. Idaho Digital Learning has found that academic success can often be directly correlated to the level of support students receive during the school day. Idaho Digital Learning is committed not only to supporting Idaho students but to support those staff members who work with and assist students on a daily basis. Idaho Digital Learning teachers are evaluated at a minimum of four times per course, with a culminating evaluation at the conclusion of each course conducted by a trained, certified Idaho administrator. 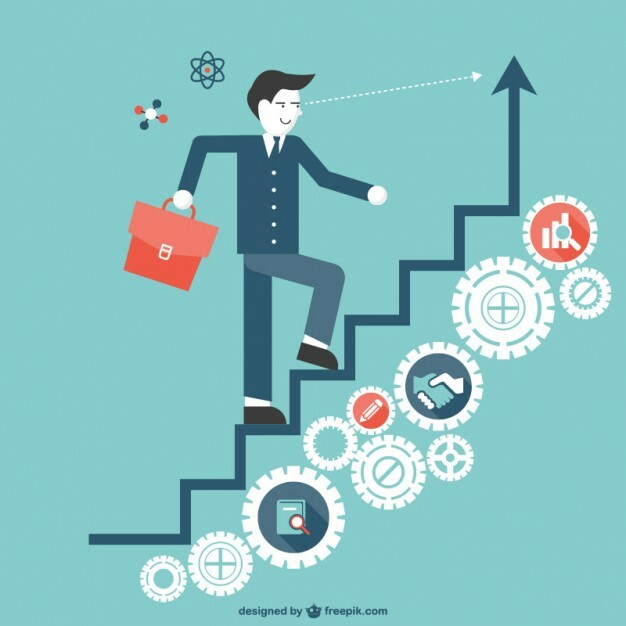 Idaho Digital Learning’s evaluation process and measurable indicators are aligned with national online standards and the evaluation requirements set forth by the State of Idaho. As Idaho’s State Virtual School, evaluative information submitted to the Idaho State Department of Education (SDE) follows guidelines developed between Idaho Digital Learning and the SDE which includes an approved timeframe for submitting annual teacher evaluative information. In compliance with SDE guidelines, Idaho Digital Learning submitted evaluation data for the 2014-2015 school year and will be submitting 2015-2016 data in August 2016. 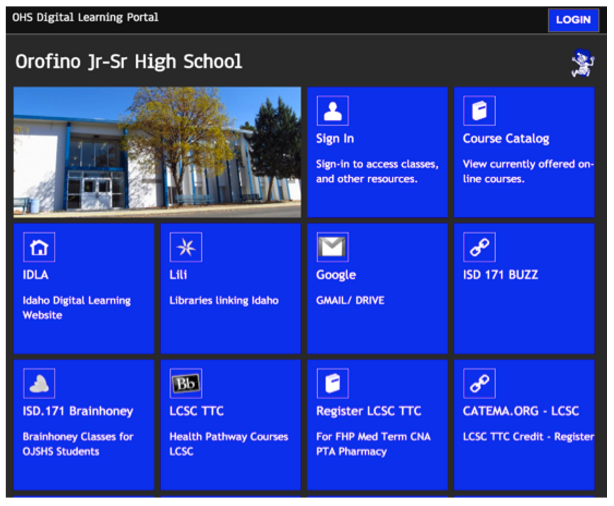 Idaho Digital Learning employs highly qualified, Idaho-certified teachers and administrators throughout the state. A majority of these teachers and principals are dually-employed in an Idaho School District. Additionally, Idaho Digital Learning works with school districts, the State Department of Education, and the State Board of Education to ensure all recommendations and regulations required of public school districts and charter schools are followed in practice. Idaho Digital Learning continues to work with all stakeholders to ensure quality in online courses and to provide accountability, as well as transparency. What does clearing my browser history actually do and why does Idaho Digital Learning technical support always ask me to clear it when I’m having issues with things loading in my class? Web browsers like Firefox and Chrome have a special storage folder on your computer called a cache. In the cache folder the browser will store web items (sometimes called cookies) that it thinks you will need again when hopping from page to page. This is done to help speed up future loading time for a given webpage and allows the website to run effectively giving the user (you) a pleasant online experience. Yet sometimes this system that is designed for efficiency is what is causing the webpage to only load partially or not load at all. The reason why “cached” items cause loading nightmares is because websites are constantly updating to newer and better versions of themselves. The browser(s) on your computer might have items stored in the cache folder that are outdated and so when a newer version of that website is trying to load, the old outdated files and cookies cause errors. Different browsers have different ways for clearing cache and cookies yet the process is usually quick and easy. With a few clicks and a refresh, you can be back to your online work in no time. Below are a few links from Idaho Digital Learning recommended browsers that walk you through how to clear your browser history.